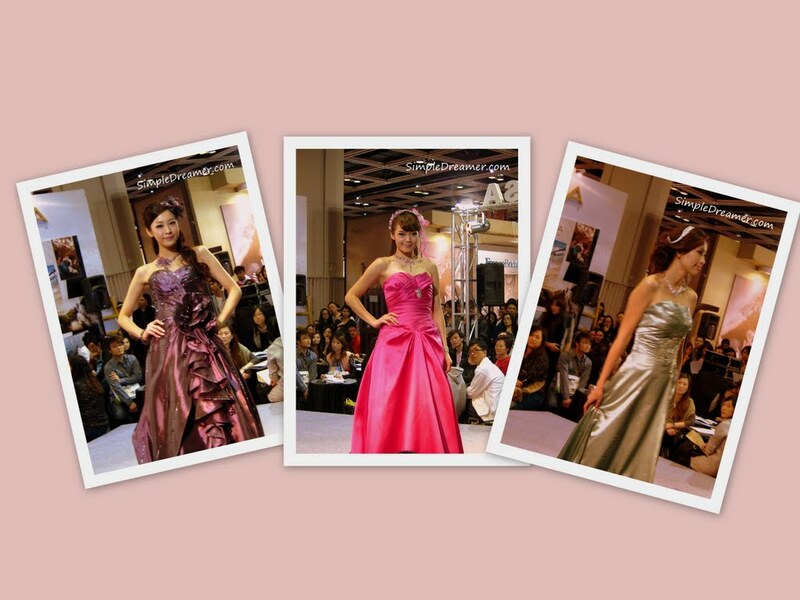 The Hong Kong Wedding & Wedding Accessories Expo was held on the 5 ~ 7 November at the Hong Kong Convention and Exhibition Centre. 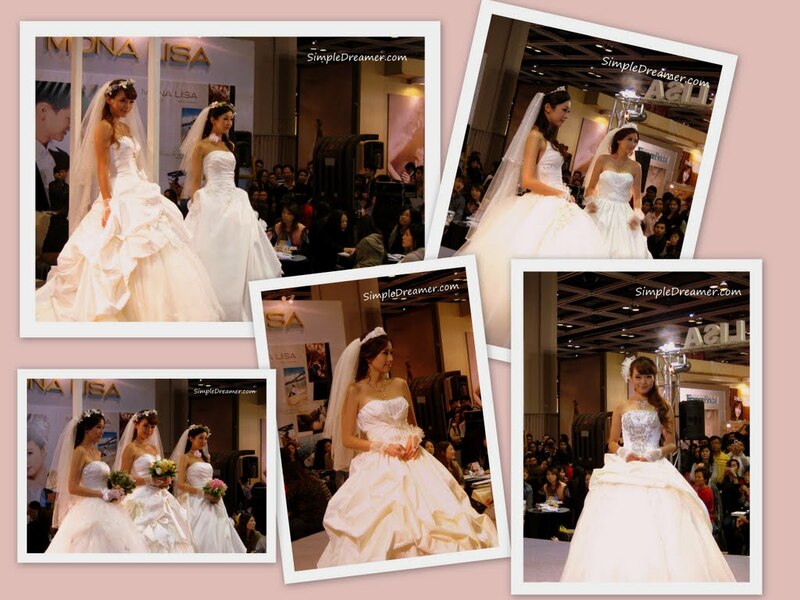 It was an opportunity for the wedding industry to showcase their products and services to future Brides and Grooms. Couples were exposed to a range of products and services: from wedding banquet to red wine; from wedding photography to honey moon trips; from wedding planning to pre-marriage body checks. The competition is fierce within the Asia wedding photography industry. Photographers from Shanghai, Shen Zhen, Macau, Taiwan, Japan, Singapore showcased the beautiful scenic and architectures in their regions to attract potential customers. 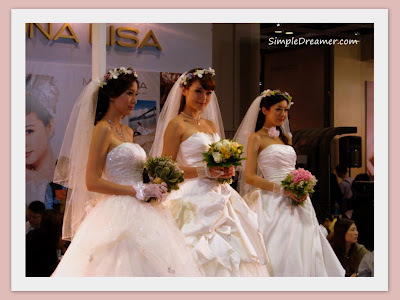 The two local giants in the industry Mona Lisa Bridal Salon and France Bridal (Yes, Hong Kong Companies have a weird faddish in foreign names.) 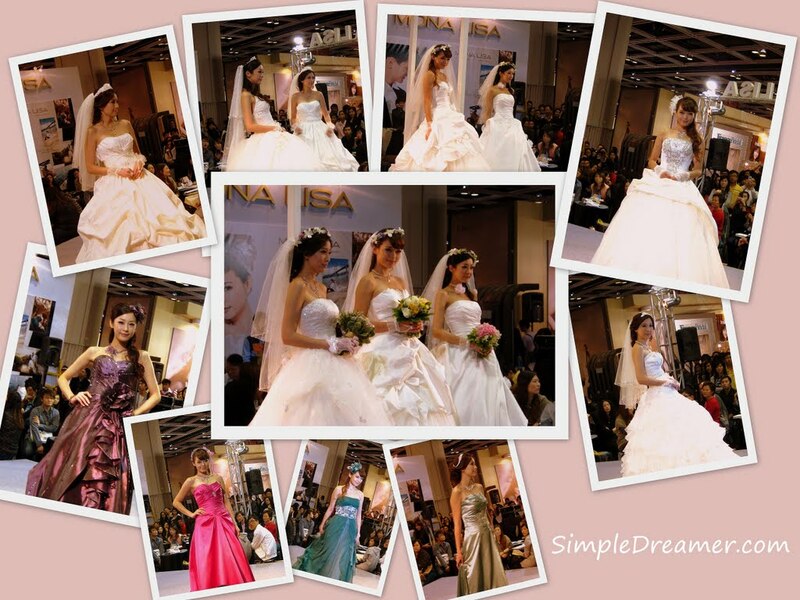 organized their own wedding dress and gown shows. Models showcased beautiful dresses and evening gowns. 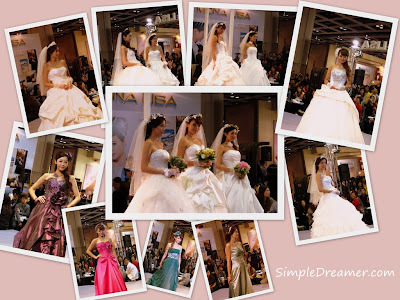 Once committed to their services, future Brides would have 100s of designs to choose from (to hire for photography purpose).